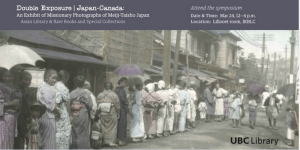 UBC Library is hosting an exhibition and conference to commemorate the March 11, 2011 disasters in Japan. 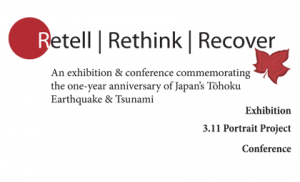 Retell, Rethink, Recover, which begins on February 20 and runs through April, consists of three phases on display in different parts of the Library system. The Retell section highlights disaster prints and historical maps. All materials are from the Library’s exceptional Tokugawa maps collection, housed at Rare Books and Special Collections (RBSC). Recover features items from UBC’s Asian Library collection, as well as contributions from community members and alumni. This section highlights Japan’s history of recovering from adversity, and includes information on the support between Canada and Japan during times of crisis. A complementary display will also feature portraits of earthquake survivors, a project sponsored by the Japan Foundation and Shiseido, the cosmetics company. Read more about Retell, Rethink, Recover in the March 2012 issue of UBC Reports. Please visit the event site to register and for more information.